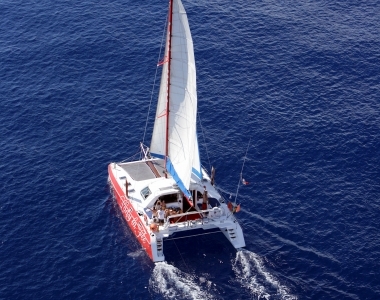 Catamaran cruises sailing departing from Saint Gilles les Bains, every day of the year. 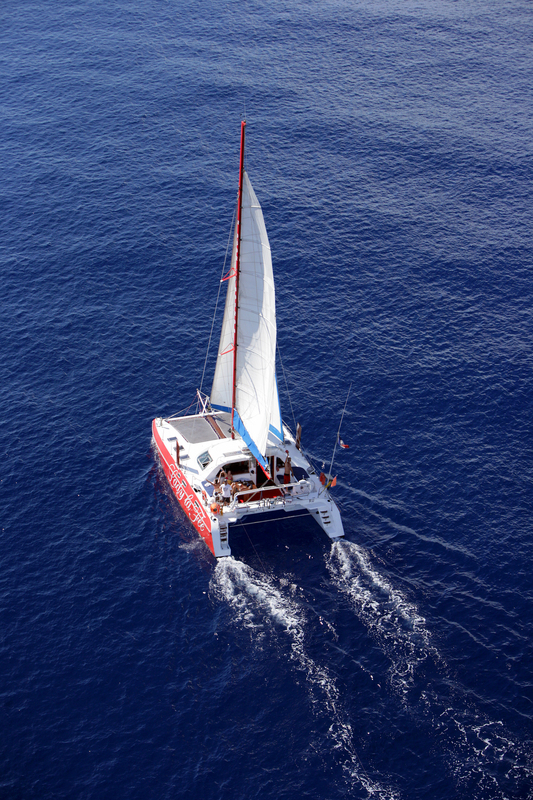 Located in the seaside resort of St Gilles les Bains, come and escape for a few hours on the blazing red catamaran. 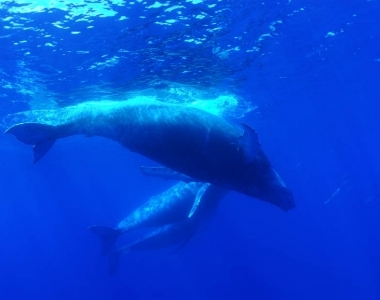 Dolphins, marine green turtles may be the humpback whale from mid-July to September will be accompany you during this magical time. 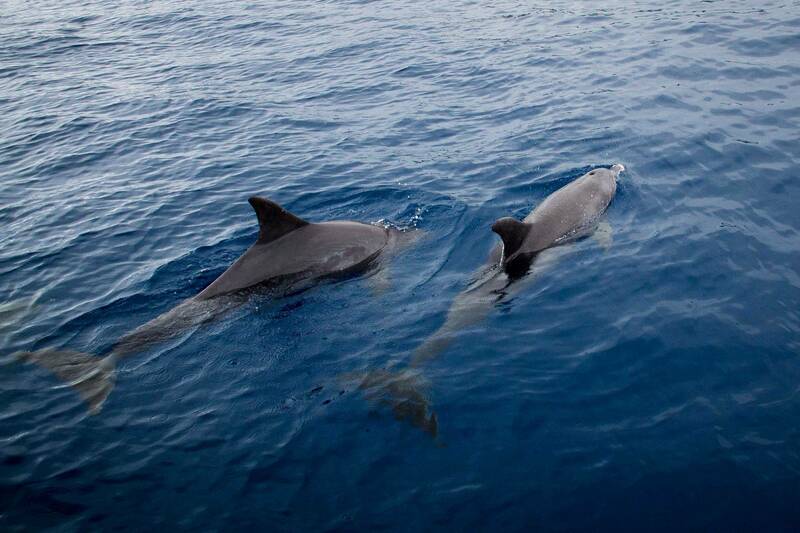 For the half day cruises, Lady la Fée offers you the breakfast departing from St Giles. During the cruise, softs drinks and cocktail will be offered. 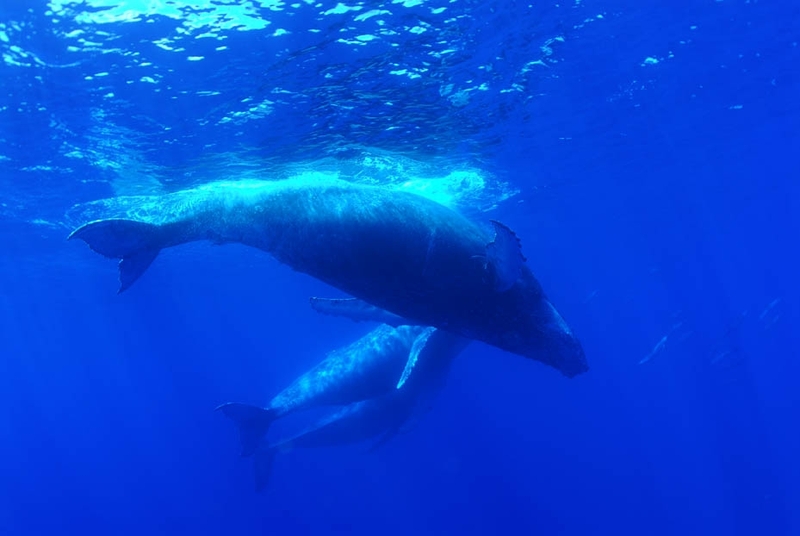 Research and observation of cetaceans, bottlenose dolphins and long-beak, the humpback whale can also be part of the mid-July to September and marine green turtle sometimes accompanies the ship near the nature reserve. A prefect order forbidden the swimming and bathing in a perimeter of 300m of the coast. At what time we drink the aperitif? It will be offered on the way back. The Catamaran Lady la Fée is located in the seaside resort of St Gilles les Bains, port “La Marina”. You can contact us to 06 92 69 12 99 or writing us below.